For hunting or self defense. 3 pellets. Extended range power, maximum penetration, consistent reliability. 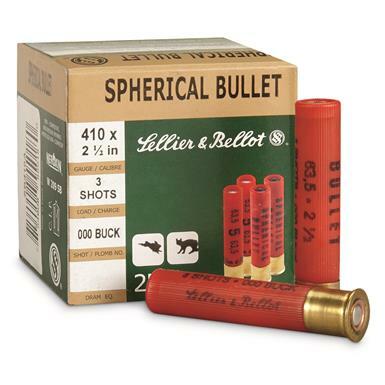 Sellier Bellot, .410 Gauge, 2 1/2 , 000 Buckshot, 3 Pellets, 25 Rounds is rated 4.3 out of 5 by 12. Rated 1 out of 5 by Jaleb111 from Not working for me. I recently purchased A mossberg 410 persuader.This ammo jams every time,the shell gets stuck in the barrel,It’s the only ammo out of six brands that did.I may call mossberg,but it seems like it’s for handguns.I would appreciate any feedback. Rated 4 out of 5 by LeoB from Good stuff. Great loads. Good price. Rated 3 out of 5 by jp12ga from Not for S&W Governor wouldn't recommend this for Smith & Wesson Governor...the spread was off a paper plate at 10 feet. I'm sure it's fine ammo for other weapons, but not a revolver. 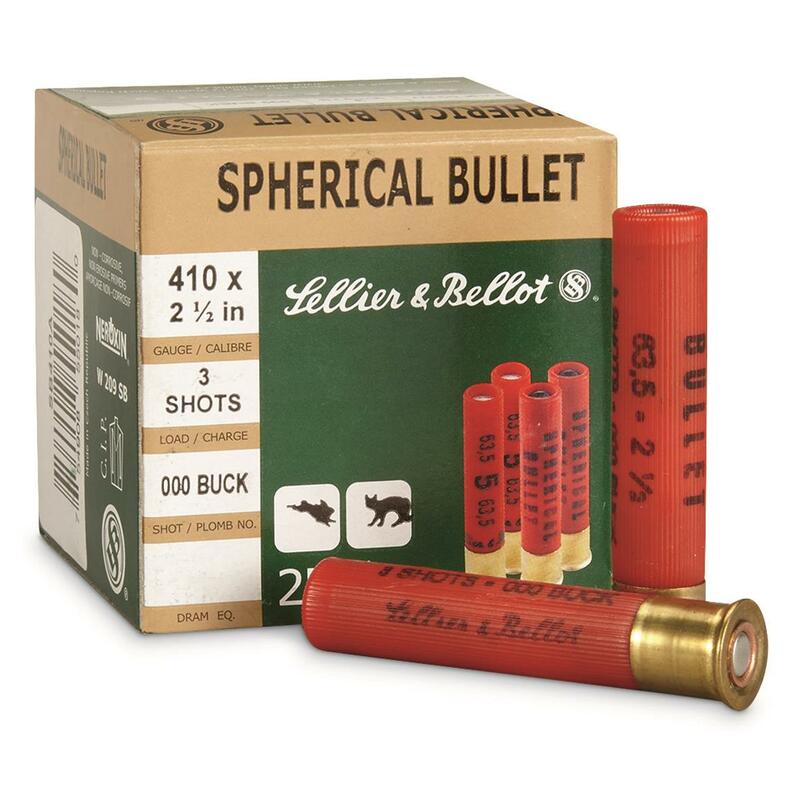 Rated 5 out of 5 by Oregon Lee from Manageable Recoil I have found these shot shells to provide a comfortable recoil in the Bond Arms Derringer compared to the 4 pellet Federal Premium. This allows me to have a tighter group of pellets. Rated 5 out of 5 by SAVAGESID from It were a great price and there have them have so fast. I have all way be satisfy in there price and service.THANK YOU GOD BLESS!!!!!!!!!!! !